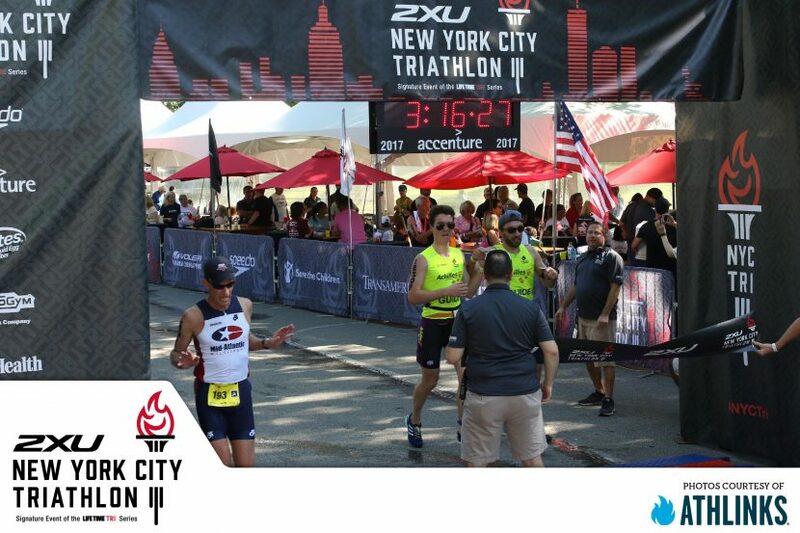 This New York City triathlon was very special for me. 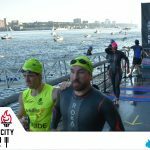 I have been captain of the Tri Achilles team for a few months now, this race is our main event of the year and I really wanted to show this City what we could do! When Thomas and I jumped in the Hudson I quickly realized two things, there was a very strong current pushing us, that’s good, but my goggles were on my forehead, not so good. 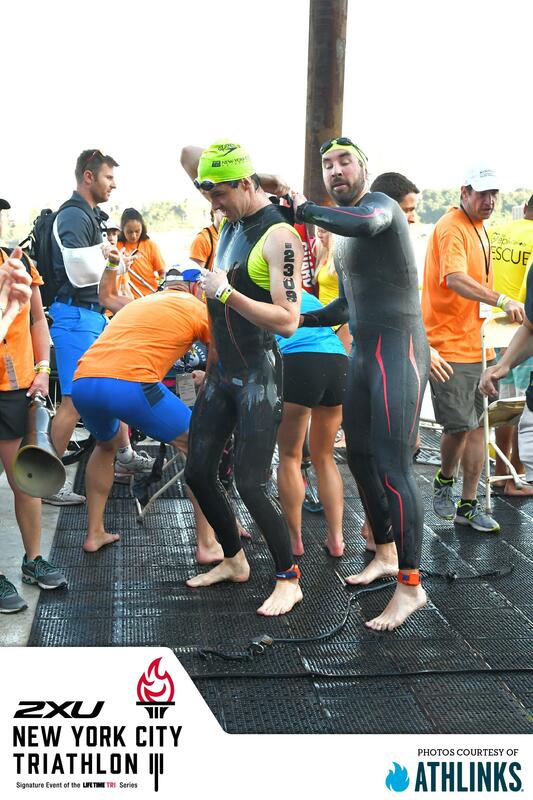 I was never really locked in during the swim, but the natural push was so powerful that it didn’t really matter. We swam the 1500 meters in 17:30, yep, new PR, and ran to our tandem, which was half a mile away. That’s quite long when you are barefooted. The bike course is challenging but fun, I don’t remember going that fast on a bike. Thomas probably did 60% of the work, but who cares! 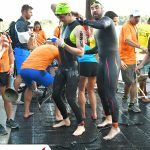 I spent many hours at Tailwind this winter, during the second part of the course I really felt a difference. Around mile 20, I asked Thomas to add one more gear, but he simply responded: “Charles, this is it, there is no more gear!” We finished the 26 miles in 1 H 09, things were starting to look really good. Of course I started the run a little too fast, as always, probably at a 6:50 pace or so, but reality quickly settled in. The crowd on 72nd street is incredible, I had the chills! Wearing an Achilles jersey is almost like using PEDs, I had wings while entering Central Park. But for the first time in my short career, my guide started to slow down ever so slightly. I was shocked, I mean, Thomas is a cyborg, but I was also flattered! We checked his heartrate afterwards, we realized that he spent over 30 minutes in zone 5 during the run, I think that I would have collapsed had I gone through the same thing. Thomas, thank you for toughing it out! Oh, one last thing, when we were dashing toward the finish line, I pushed for a final sprint, I touched the shoe of someone in front of me. I heard a few stumbles, cursing, and finally, a crash. Sorry sir! We met my victim afterwards, apparently he had a large bandage around his knee, ouch. But don’t worry, when he understood why I didn’t see him, he was very gracious. This new PR of 2:17 was a nice treat, but my 1st place in the para division was an incredible surprise! 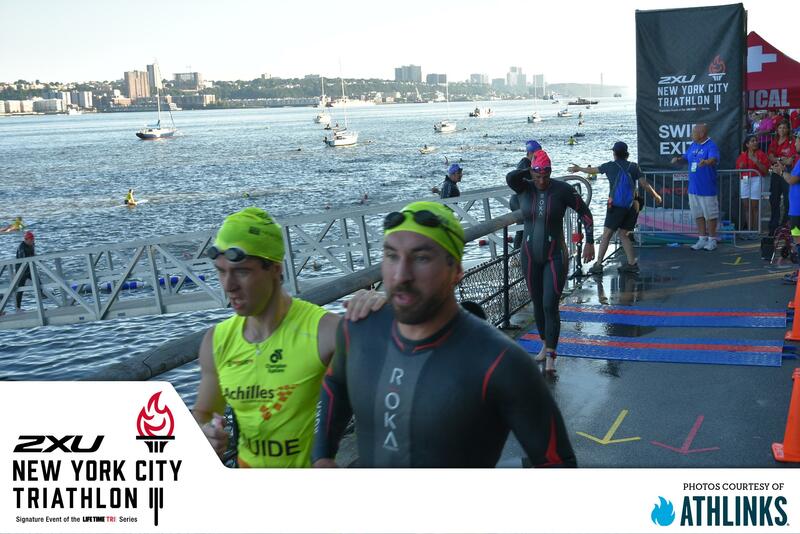 Achilles was all over the podiums, it was a good day at the office. Thank you Thomas and thank you Achilles!